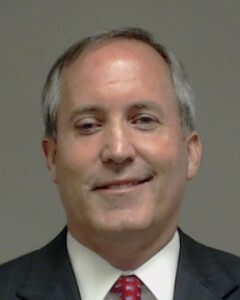 Prosecutors in the securities fraud case against Attorney General Ken Paxton are asking the state’s highest criminal court to overturn a ruling backing his push for a new judge. Paxton’s lawyers scored a win Tuesday when a state appeals court ruled the judge, George Gallagher, had lost jurisdiction by changing venue to Harris County in April. The Dallas-based 5th Court of Appeals directed Gallagher to vacate all subsequent orders, including one that set a September trial date. On Friday, prosecutors responded to that ruling by asking the Texas Court of Criminal Appeals to reverse it, suggesting the 5th Court of Appeals lacked jurisdiction to make the decision in the first place. They also questioned the court’s interpretation of a part of the Texas Code of Criminal Procedure that Paxton’s team has leaned on in its campaign for a new judge. The prosecutors are asking for oral arguments before the Texas Court of Criminal Appeals. See here for the background. I imagine for the prosecutors it’s not a matter of who the presiding judge is but of the trial schedule. Installing a new judge means pushing back the September 12 trial date, possibly by a lot. The special prosecutors, I am sure, would like to eventually wrap this business up and get back to their regular lives. Add in the jeopardy to them getting paid for their work, and they are strongly incentivized to bring this to a close. We’ll see what the CCA has to say.